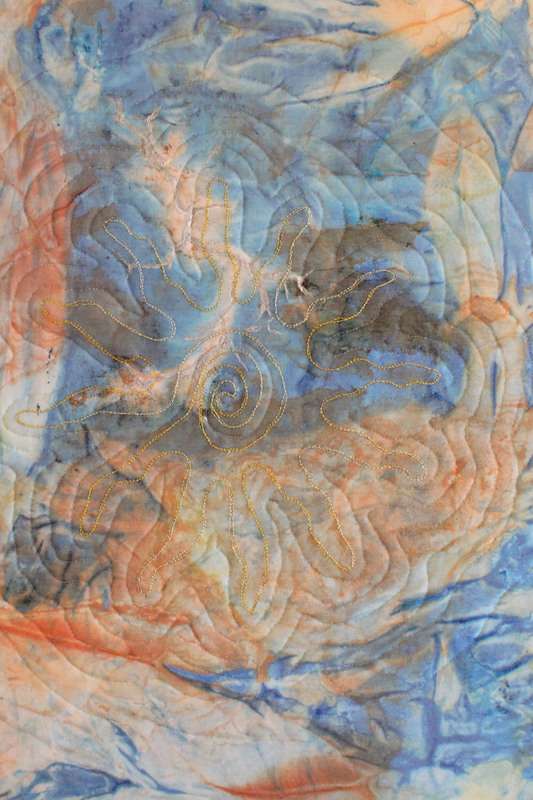 My thoughts immediately went to our summers here in Sedona when I saw this finished painted silk gauze. 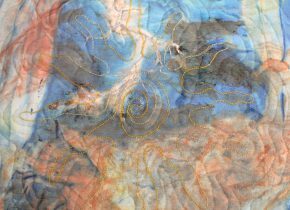 My thoughts immediately went to our summers here in Sedona when I saw the finished painted silk gauze – and the beautiful red rocks against the blue sky. 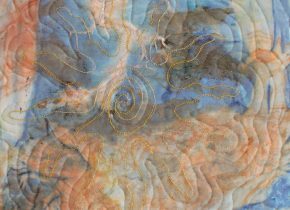 The quilting represents our summer sun and the entire piece looks like chaos – which is what happens in Sedona when the summer monsoons arrive with the torrential rains and the lightning strikes. 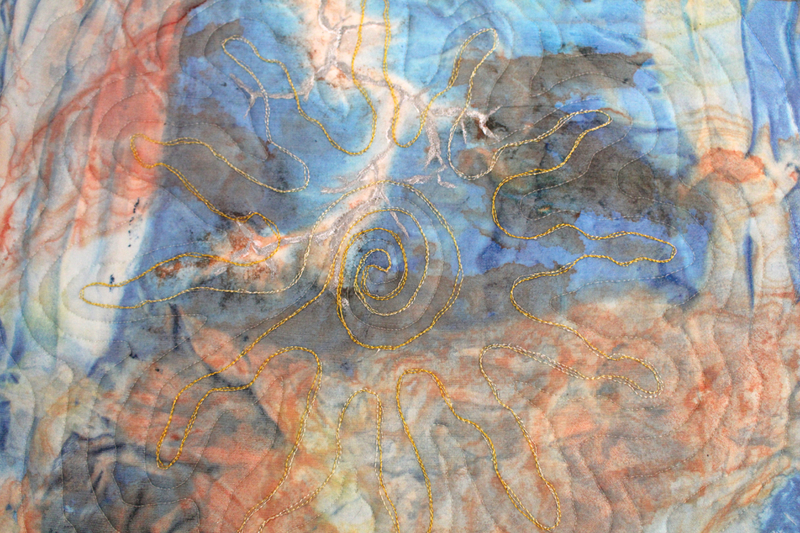 The silk gauze was fused onto white fabric before being stretched over a gallery wrap artists’ canvas.